How do I convert PNG to JPG and back? Both PNG and JPG (JPEG) are very popular image formats. Which one is best depends on your goals. PNG uses lossless compression, so it retains the best picture quality. JPG uses lossy compression and high compression ratios that significantly reduce the size of image files while preserving good picture quality. This compression is why you might want a PNG to JPG converter as it will let you free up hard disk space. There’s no need use complex graphics software if you have Movavi Converter! 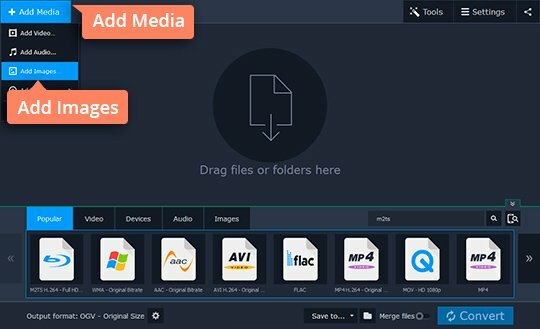 This multi-format media converter supports most popular image formats, including JPG, PNG, TIFF, BMP, and GIF as well as a wide range of video and audio formats. 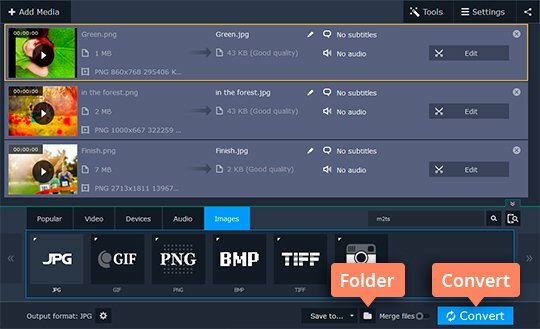 Changing the format for image files is as easy as pie – just download the Windows or Mac version of the program and follow the steps below. Download the installation file, open it and follow the on-screen instructions. Installation typically takes around half a minute. Click the Add Media button, then Add Images and open the files you want to convert. The batch conversion function lets you convert multiple files simultaneously, so there is no need to add and convert files one by one. Go to the Images section and choose the appropriate format for your purposes. 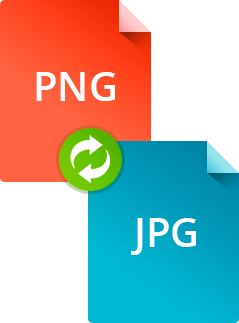 If you want to convert an image from PNG to JPG, select JPG, if you want to do the opposite – convert from JPG to PNG – pick PNG. In the Save to field, choose the folder in which you are going to save the converted files or stay with the default Movavi Library folder. Then, click the Convert button. The folder containing the converted files will open automatically once the process is complete. 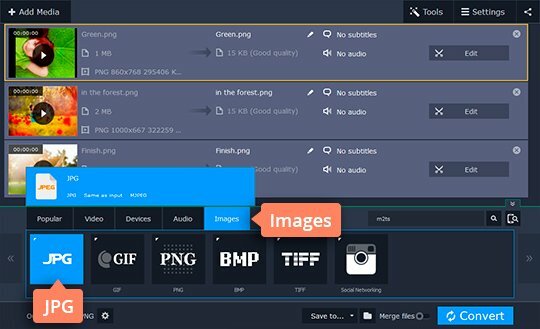 Now you know how to change the image format in just a couple of minutes using our handy media converter. It doesn’t matter whether you’re an experienced user or a newcomer to graphics processing – you can install the software and start converting images right away, no problem.